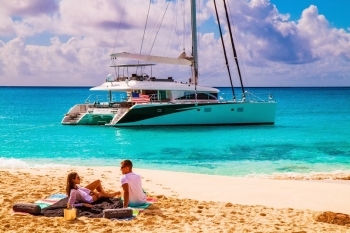 We are your Green Yacht Charter Vacation Planners! 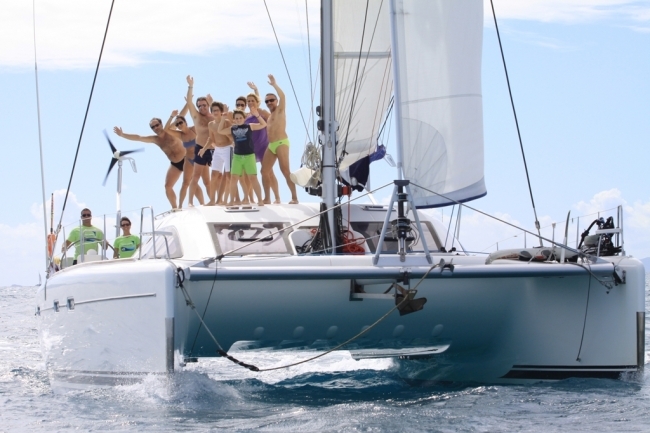 Did you know that one of the Greenest ways to vacation and travel is on a catamaran sailing yacht charter? – Minimal fuel is used while on your sailing yacht. – Most power is utilized with solar energy, produced by solar panels on the boat. – Water makers produce pure fresh drinking water on board, thus removing the need to purchase plastic bottles of drinking water. – Organic and local produce whenever possible. – Trash is NEVER thrown overboard. – Recycling onboard, Limited plastic usage, No organic Waste in trash. – Use biodegradable cleaning products. – Re-usable bottles are provided to each guest to use through their trip. – Sailing to environmentally friendly locations and destinations that support the Green initiative. There is no better feeling than contributing to a great cause. Not only is a sailing vacation probably the Best Vacation you may ever experience, it will also give you satisfaction that you were a part of an eco-friendly group that did your part in making our earth a better place for generations to come! 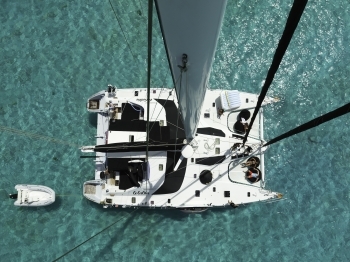 Check out just a few of our featured yachts with Green Initiatives!